Key research released this month suggests that Melbourne is continuing to show significant potential for property investors, and has actually become a ‘landlord’s market.’ These findings come hot on the heels of the Victorian government’s vacancy tax announcements and amidst concerns of apartment oversupply in inner-city Melbourne. The following five reports outline why many investors are still keeping Melbourne on their watch list. Only 1.7 per cent of the properties being offered for rent in inner-city Melbourne remained available in February, according to SQM Research. The last time this figure was so low was in June 2007. Recent research report from Savills have revealed office leasing in Melbourne’s CBD has had a massive increase of 128 per cent over the 12 months to March. According to Savills Director, Office Leasing, Phillip Cullity, this surge is the result of strong population growth as well as the Victorian Government’s strong infrastructure program, including level crossing removals, the Metro Tunnel and the Western Distributor. “It’s no surprise that developers are pushing ahead with new buildings especially with economic rents being achieved,” Cullity said. “More and more people want to live in Melbourne, which is reflected in the record number of homes being built. The number of dwellings completed or in the pipeline is one of the highest we have recorded since the DAM began in 2002,” said Lord Mayor Robert Doyle, reflecting on the City of Melbourne’s latest Development Activity Monitor (DAM) report. From 1 April 2017 drivers heading to or from the CBD on CityLink between Flemington Road and the West Gate Freeway will now have an additional traffic lane available each way, including the Bolte Bridge. On average, motorists will save 16 minutes in the morning peak and 17 minutes in the afternoon peak when the CityLink Tulla project is completed in 2018. Work is also set to ramp up next month on the $10.9 billion Metro Tunnel mega-project which will enable more trains to run in and out of the city to improve access to jobs, education, health and culture. Construction will continue at Franklin and A’Beckett Streets in April, and in and around St Kilda Road at Domain. The City of Melbourne last week unveiled plans for what has been described as Australia’s most sustainable mixed-use development on the Council-owned Munro site, as part the Queen Victoria Market (QVM) Precinct Renewal. Lord Mayor Robert Doyle said the proposed development by PDG Corporation would deliver a $89.7 million public benefit to the City North precinct. It will include a hotel, residential and retail, childcare facilities, health and community hubs as well as galleries and artist spaces. The development will move the existing QV market car parking underground and transform the space into 1.5ha of public amenity. Want to find out more about property investment in Melbourne or which are the premium suburbs/areas to invest? Download our property outlook report here. Green Square residents are invited to a sneak preview of the City of Sydney’s new $18 million community and cultural precinct at a site tour this weekend. Locals can take a look at the facilities under construction at the former South Sydney Hospital site in Zetland, including a creative centre, community shed, childcare centre and park. The City’s project managers, community facilities staff and builders will be on hand to answer questions about the new precinct, which is expected to be complete later this year for the benefit of the area’s rapidly growing community. Lord Mayor Clover Moore said the facilities were an important addition for Green Square, an area that will soon be home to more than 61,000 people. “Green Square is one of the fastest growing precincts in Australia, and we’re doing everything we can to ensure it develops into a world-class urban neighbourhood with the services and facilities its residents and workers need,” the Lord Mayor said. “The City has committed $540 million over the next 10 years to the Green Square town centre, including our new community and cultural precinct that will sit at the heart of the development. “Our new childcare centre will support the growing number of families choosing to live in the inner city, while other facilities will provide important creative and recreational spaces for people of all ages to come together, develop their talents and share ideas. “Our works are breathing new life into the former South Sydney Hospital’s heritage-listed buildings, preserving their rich history and ensuring they can be enjoyed for generations to come. Joynton Avenue Creative Centre– the former nurses’ quarters in the three-storey Esme Cahill Building are being refurbished as artist studios, a gallery space, creative workshops, classrooms and spaces available for community hire. Banga Community Shed – a former pathology building will house a community shed with the potential for workshops and other community activities, and will look out onto the new Matron Ruby Park, featuring a community garden and children’s playground. Waranara Early Education Centre – the hospital’s former outpatient building will provide a 74-place early education and childcare centre. Green infrastructure – the former administration building will act as a green infrastructure centre for the town centre. A water treatment facility will supply recycled stormwater for flushing toilets, green space irrigation and cooling towers, and two water storage tanks will also be located on site. A local distribution network, or private wire, will supply power to nearby community facilities, allowing power generated from sources such as solar to be transferred to other buildings in the precinct. Representatives from local water utility Flow Systems will also be on hand during the tours to answer questions about Green Square’s stormwater recycling system. Artist Maria Fernanda Cardoso will also speak about her artwork While I Live I Will Grow that will be featured onsite. The new community and cultural precinct sits within the 278-hectare Green Square development area, which includes the suburbs of Beaconsfield and Zetland, and parts of Rosebery, Alexandria and Waterloo. The City is spending $540 million over the next 10 years on extensive infrastructure and streetscaping works for Green Square, as well as new community facilities that also include an aquatic centre, library and plaza, and more than 15 parks and open spaces. When fully developed, Green Square will accommodate close to 61,000 people living in 30,500 new homes, and provide around 21,000 permanent jobs. Residential land sales increased for the second consecutive quarter as prices reached a new high during the three months to September 2016 according to the latest HIA-CoreLogic Residential Land Report published today by Housing Industry Association. “During the September 2016 quarter, the volume of land sales increased by 1,121 lots compared with the June 2016 quarter,” said HIA Senior Economist, Shane Garrett. “However, the number and size of government taxes, fees, levies and charges on new residential land needed to accommodate our growing population continues to weigh down on our national housing affordability challenges. “In addition to removing the excessive taxes on new land, long term commitment from all levels government in the areas of planning, land release and infrastructure funding is necessary. “With housing affordability one of the most topical housing market issues, the underlying drivers of high land costs need further scrutiny. Government policies around land release and headworks costs are central to the debate around housing affordability and the cost of vacant land,” Mr Lawless said. Today’s HIA-CoreLogic Residential Land Report shows that the land lot price nationally rose by 3.3 per cent during the September 2016 quarter to another record high of $243,585. During the quarter, 18,510 land lot transactions are estimated to have occurred across Australia, 6.4 per cent higher than the previous quarter but 7.3 per cent lower than a year earlier. During the six months to September 2016, land transactions experienced the largest increase in Perth (+5.5 per cent) compared with the same period year earlier. Land turnover also increased in Hobart (+2.1 per cent) over the same period. Land sales saw the largest reduction in Sydney (-29.9 per cent) over the same period. Turnover also fell back in Melbourne (-13.5 per cent), Adelaide (-5.1 per cent) and Brisbane (-3.3 per cent). Treasurer Tim Pallas and Minister for Sport John Eren announced $271.55 million to complete the third stage of the Melbourne Park redevelopment in a move to ensure Melbourne can claim the title as global home of sport and entertainment. Announced as part of the Victorian Budget 2017/18, the funding will guarantee that the Australian Open stays in Melbourne until at least 2036. The third stage will feature a new multi-purpose 5,000-seat sunken show court and arena, central terrace with a new elevated outdoor public space, a function and media centre, broadcast studios, central kitchen, loading dock and logistics hub. “This project will mean more visitors, more jobs, and even more chances to showcase to the world that Victoria has the best of everything,” Treasurer Tim Pallas said. The project will create 600 jobs during construction, and is expected to support thousands of tourism and hospitality jobs once complete. Stage 2 is set to be ready for the Australian Open 2019, and for construction of Stage 3 to begin the same year. “We’re breathing new life into our iconic venues so we can host more events, and ensure Melbourne remains the home of sport and entertainment,” Minister for Sport John Eren said. the addition of rainwater harvesting and treatment facilities. a bridge over Olympic Boulevard, providing an above-grade connection between the Eastern Plaza and AAMI Park. a connection with Birrarung Marr to provide direct access from Flinders Street Station. significant back-of-house improvements to ensure that Rod Laver Arena can continue to host the best events in Australia. a Central Terrace, which provides a new elevated public space in the heart of the precinct connected by ramps to Garden Square and Upper Terrace. a new Function and Media Centre including function rooms, pre-event spaces, interview rooms, a 200 seat auditorium and broadcast studios. Starfish Developments revealed its new 19 hectare, masterplanned housing development in Woodforde at the base of the Adelaide foothills. Newly named Hamilton Hill will accommodate 440 new homes and boasts sweeping panoramic views of the city and coastline. “Hamilton Hill makes for an enviable lifestyle, enjoying the best of both worlds – urban and rural,” Starfish Managing Director Damon Nagel said. 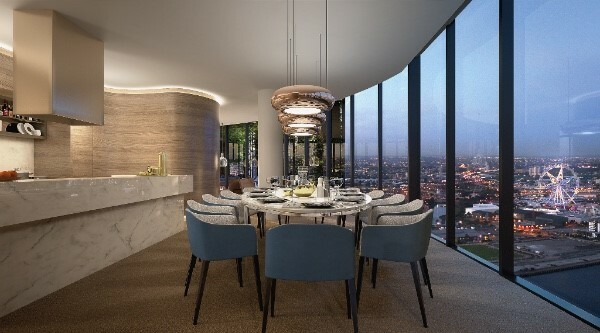 “It will offer exceptional value to discerning buyers looking for stylish, well-made homes in the best areas of Adelaide.” Starfish hope to entice buyers to sign contracts for Hamilton Hill by offering them the chance to view the development by helicopter in May. The development was designed to provide contemporary homes alongside green reserves and carefully landscaped areas. Hamilton Hill was placed conveniently adjacent to Morialta Conservation Park, the shopping and entertainment precincts of Norwood, Magill and Burnside as well as the area’s major road networks and public transport options. The development will accomodate for a range of customisable living options, including architecturally designed traditional homes, townhouses and boutique apartments. A third of the area will be retained as landscaped reserves and walking trails, all fully accessible for residents and the local community. 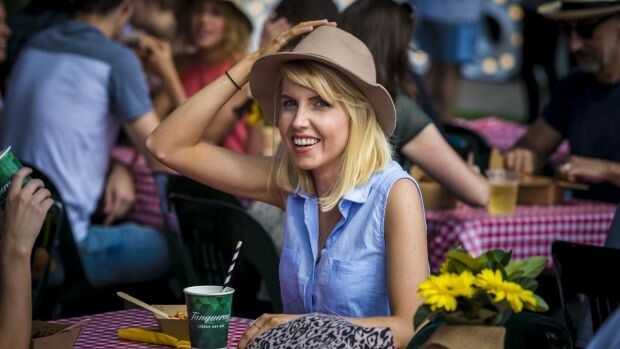 There are plans for an outdoor amphitheatre and onsite café to bring people together socially. Mr Nagel said the origin of the development’s name was inspired by the heritage and history of the area, with Scottish street names complementing existing adjacent roads such as Kintyre Road and Glengarry Drive. The landscaping and colour of plantings within each road will reflect its relevant tartan. How will the Proposed Stamp Duty Changes to Melbourne’s Off the Plan Apartment Market impact you? There is often lots of media hype and negative speculation to accompany major property tax reforms. However, the recently announced decision by the Victorian State Government to remove the ability for investors in new Victorian property to access its attractive “discounted stamp duty policy” for off the plan purchasers (“OTP”) from 1 July is a lot more significant for the Melbourne property market than many people think. For those of you who don’t know, property purchasers in Victoria who purchase OTP are only required to pay a small portion of the stamp duty that would be payable for the property once complete and so this gives an additional incentive for purchasers to buy new rather than existing property. It also is a benefit of investing in Melbourne as opposed to any other major Australian city. Well that is about to change because the recent announcement to exclude investors moving forward after July 1 is part of the State Government’s “Housing Affordability” package but Ironfish along with many top industry experts believe the policy will result in many unintended consequences and result in making Melbourne’s residential property market less affordable and not more affordable as they would like. Many industry experts are questioning the wisdom of the Government introducing this policy change at a time when finance is tougher for developers and purchasers, on top of the further impact of recent changes to the Apartment Design guidelines which are all combining to reduce the supply of new projects delivered to the market at a time when there is record demand. The likely consequences of this is that prices will rise and the market will become more expensive for all and definitely will get harder not easier in terms of affordability. Whilst first home buyers and owner occupiers retain the OTP discount and this may on the surface seem like it will be cheaper, the supply of new apartment projects will reduce and the market in our view is likely to kick up and more than compensate for any short term benefit in affordability. So, is this good or bad for me? 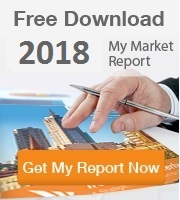 Well this is good news for investors who already own Melbourne apartments and it is also very good news for investors who invest in the Melbourne market before the 1 July deadline. The market will adjust as it always does over time, however another positive likely impact for investors is that it will create an even more competitive second hand apartment market which should drive capital growth in comparison to houses which have outperformed apartments in terms of capital growth in the current cycle in recent years. Two of Ironfish Adelaide’s team are about to undertake an ‘epic’ bike journey to help raise funds for Operation Flinders, a South Australian not-for-profit that runs adventure transformation programs for young offenders and young people at risk. As part of its work, the charitable organisation takes teens between 14 and 18 years of age on an eight-day exercise in the far northern Flinders Ranges, providing an opportunity for them to break away from their past and grow as valued members of the community. With a view to raising money for the foundation, Julian Stevens and Michael Lawton, both property specialists, will be joining a five-consecutive day cycle ride through the rugged and stunning landscape. Using a rotation of road and mountain bikes, the two will definitely find it a positive and rewarding challenge, and have been training hard. “We’ve both become involved because we want to make a difference’, says Mike. “We’re inspired by the work that Operation Flinders does, so we wanted to raise money for it as part of our participation in the Epic Impact Yankaninna Challenge 2017”. The expedition runs from 8-14 May 2017, starting at Operation Flinders Foundation head office in Port Adelaide, then all the way to the charity’s Base Camp Yankaninna Station, located approximately 678km’s away in the beautiful Northern Flinders Ranges. Julian says, “We’re aware that this is by far not an easy challenge as we’ll be riding our bicycles approximately 135km each day – testing our character and desire to overcome unique physical, mental and emotional barriers – in support of Operation Flinders Foundation and the young teens it helps. Ironfish’s involvement forms part of its corporate social responsibility program, with primary sponsorship from Damon Nagel, managing director of Ironfish Adelaide, complemented by generous donations from Joseph Chou and Susanne Anderson. Delegates at the recent Ironfish Hawaii Conference also kindly contributed. The riders are hoping team members from all Ironfish offices will dig deep, saying that even the smallest donation will make a difference – maybe even by holding raffles or bake sales. Everyone’s heard that “location, location, location” is the most important thing to consider when buying a home. But what about an investment property? If you love living near the water, does it make sense to purchase a second property in an expensive seaside suburb? Or are there other factors that you should consider? Property investing is not the same as buying a home to live in. It’s a business strategy designed to provide you with an income as your capacity – or enthusiasm – for work decreases. It can be a complex area to explore, so here are some top tips for finding your perfect investment property. We’ve touched on the issue of location, and it’s important to remember that the best investment strategy may be to buy in a suburb that you would never consider living in yourself. For example, if the state government has just invested millions in a new hospital in an outer suburb, it might be too far away from your work for you to live there, but the interns, nurses, administration and auxiliary staff working at the new hospital will all be looking for somewhere to rent. It means a steady stream of tenants for investment properties. The type of tenant should also influence your type of property. It helps to imagine an ideal tenant and their needs. A four-bedroom house may be far too large for a young nurse on a starting salary, but a one-bedroom or even a studio apartment could be ideal. A rule for property investment is that you need to diversify in terms of location and property types. If you have several properties over a variety of locations, you can take advantage of potentially much better investing opportunities available in other cities. Don’t narrow your vision: if you live in Melbourne, why not purchase an investment property in Brisbane, or vice versa? There could be great opportunities in other states, but you won’t know until you get in touch with an Ironfish property strategist who has an overview of the national market. There are advantages to buying off the plan. With Ironfish-approved quality projects, your Ironfish property strategist has already checked the reputation and credibility of the developer to make sure they have delivered as promised on previous projects, and that all the necessary licenses and insurance policies are in place. TV shows make it look as if everyone is buying and flipping investment property with ease. The truth is, the ‘contestants’ are backed by a professional team of builders and developers – and they’ve taken time off work! Real-life DIY involves time, expertise and willpower you may not possess. Think carefully before you enter into a situation where you buy a cheap, rundown property with dreams of tripling its value with a few tweaks. Perhaps the biggest tip for property investing is getting the right guidance on market dynamics and having a team of professionals to support you. With the right investment guidance, you soon become empowered to make better decisions for yourself and your family. Your property manager needs to be a switched on, intelligent and courteous person who is approachable and friendly, but is also a shrewd judge of a possible tenant’s character. They should have local knowledge, know how to source a reliable tenant base, and know how to represent you at a tribunal hearing if there’s a tenant dispute. It’s a mix of openness, toughness and regulatory knowledge that makes a good property manager, so let’s look at three of these aspects. A property manager with local knowledge understands how to market your property and which type of tenants are going to be keen to rent it. For example, you might think your property is family friendly, but the local property manager knows there’s a live music venue close by that’s likely to keep the kids awake. With the understanding of the area’s surroundings, the property manager looks at their tenant database, and narrows the search for younger tenants without children instead. When you talk to a potential property manager, ask them about the area. If they know their stuff, they should be able to tell you about other customers’ properties and the sorts of tenants that find the area popular. If they respond with, “I don’t know, I just moved here from interstate,” you need to look for someone with a local advantage. Knowledge of an area’s growing or decreasing attraction also gives a local manager the advantage of knowing when to increase rent and when to leave it as is, so that you are never without a tenant. Once you have given your approval and the tenant moves in, you don’t want a day-by-day commentary on what they are up to. What you do want is to be forewarned about things like changes to the rent payment schedule, and quotes before any repairs are undertaken. There shouldn’t be any surprises when you open your rental statements. Your property manager should have been in touch to advise on any repairs and to arrange for them to be staggered over a couple of months if necessary. A regular quarterly or six-monthly report on the property with photos taken by the manager should also be part of your management agreement. A property manager should be able to keep your property constantly tenanted, it’s fundamental to the job. A big property management company will have more potential tenants than a smaller one, but the way they find tenants is important too. They should be able to offer a National Tenancy Database check, and have a tenant database for those looking for a particular rental type. A newsletter to tenants guiding them towards properties they manage keeps tenants within the same management pool – which means your property will remain occupied. 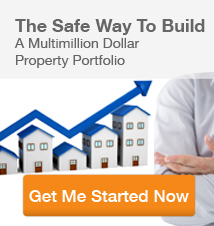 Property investing is a positive step to increasing your financial security. But a property without a tenant is costing you money, and that’s where a good property manager from a firm like Ironfish is indispensable. Buying off the plan essentially means buying a property that is yet to be built. You can view the developer’s plans, designs and renders for the property but can not view a physical building. Say, for example, you wish to buy an apartment as an investment property. 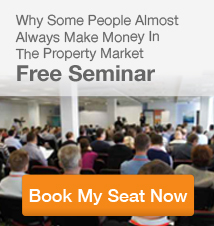 You could go to the auction of an existing property and make a bid in the hope that you will be successful. The constantly evolving market may mean that you could be waiting a long time before you find a property in the right area, and place a winning bid. In contrast, buying off the plan locks in the price of the property, even if the completion date is a year or two in the future. Here are 5 key advantages of buying an investment property off the plan. New property launches usually feature a ‘pre-public’ stage followed by a ‘public’ opportunity to purchase. In most cases, this occurs before construction has started. Investors who don’t get in early often miss valuable opportunities. Investors who access VIP pre-public releases enjoy certain significant advantages. When you have preferential or early access to a development, it means you can choose your preferred floor-plan, aspect or views. Premium properties within a development tend to be snapped up early, and may not be available after an estate or apartment complex is built. With an off the plan investment, you can get in on the ground floor – or the penthouse, if you prefer. And after you have paid the deposit you have a clear savings goal to aim for until settlement. Many investors leverage the long settlement period associated with buying off-the-plan as part of their long-term portfolio building strategy. A new property or building which demonstrates contemporary best practice in terms of architectural and environmental design often has great appeal for future tenants. For example, the latest apartment design has shifted tremendously from buildings of the past. New apartment buildings create lighter, brighter and infinitely more liveable spaces that are so much more appealing and alluring than previous “box” type living offered by apartments of previous decades. New designs also encourage community and offer enhanced lifestyle benefits through resort-style shared facilities or ground-floor retail and dining experiences. Stamp duty can slug investors when buying an existing property. But buying off the plan can allow investors to minimise this cost as there are many Government incentives and stamp duty concessions on offer for people who purchase new. Concessions vary from state to state, so check the local conditions with your property investment strategist. Buying off the plan means you are eligible to claim depreciation based on a new property. Once your property is completed and quantity surveyed, you can claim annual depreciation on everything from the bathroom taps to the air-conditioning unit. The difference between the depreciation claimable for second-hand versus new properties is substantial; representing potentially thousands of dollars-worth of depreciation entitlements each year, particularly in the first five years. By buying off the plan, before the property settles, you have the advantage of holding a property without any of the financial or administrative issues associated with it – paying a mortgage, managing tenants, or paying bills. During the construction period your property may even increase in value, even though you have outlaid only the deposit. An x-factor is infrastructure that adds value to a residential area. It could be a new shopping complex, a hospital or railway line that will put upward pressure on the value of properties in that area. Delayed settlement with an off the plan purchase means the effects of an x-factor can happen gradually, increasing the value of your property over time. Find out which areas in your city are earmarked for an x-factor development over the next decade or so and consider investing in these areas. Another distinct advantage of buying investment properties off the plan, means you are buying a ‘turnkey’ property – one which requires no renovation – it’s ready to rent out and move into straight away. Some investors enjoy the idea of renovating a second-hand property, but for many others, they lack either the time, expertise or inclination to go through this process and execute it successfully. Buying off the plan allows investors to avoid any hassles associated with initial renovation and repair-work which second hand property can require. One final word – location is often the major drawcard for any property you choose to purchase. Finding the right area, and then, the right property within that area is the key to success. If you would like further information on tax depreciation, stamp duty or other benefits of purchasing new properties, please feel free to book a complimentary appointment with your local Strategist, who will be able to answer any questions you may have. South Brisbane apartments have an average rent per week of $510 compared to the Brisbane average which is $385 per week. Flight Centre’s new headquarters will be located within the commercial tower of Anthony John Group’s $590m Southpoint complex at Brisbane’s Southbank. Flight Centre’s new headquarters will be located within the commercial tower of Anthony John Group’s $590m Southpoint complex at Brisbane’s Southbank. 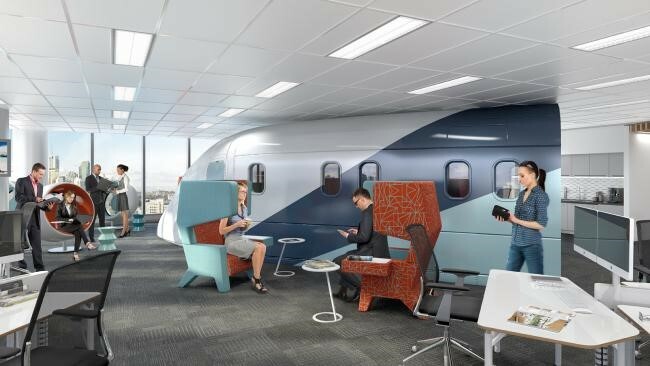 The travel company wanted to bring its diverse brands together under the one roof, and will ­vacate their current tenancies in Brisbane’s CBD to move their 2000 staff to the 23,000sq m new offices. Southpoint is one of the ­biggest mixed-use transit-orientated developments in Queensland, located in the busy hub of South Bank. Southpoint will also feature a hotel and restaurants as well as apartments. the Inner Brisbane Catchment. From the surveyed data Urbis recorded a vacancy rate of 0.6% showing a tightening vacancy rate for new apartment product from December 2015 at 1.6%. Kelder Architects have ranked all new South Brisbane apartment developments and found that ARIA Property Group and Abacus/Kilcor’s Property (Spice Apartments) ranked the highest above all other developments for the ratio of recreational space to a number of apartments at 3 – 8 square meters of recreational space per apartment. 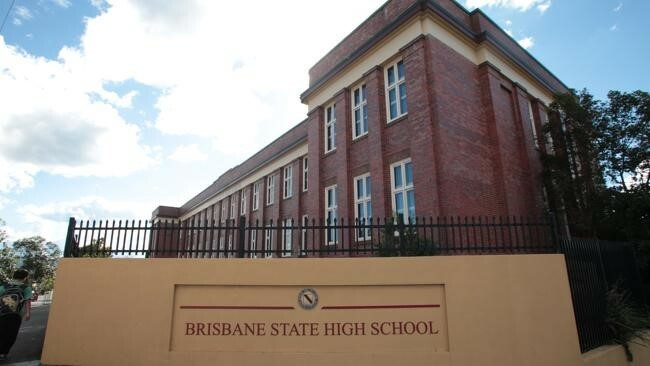 Despite fierce competition from expensive private schools Queensland’s top public school – Brisbane State High has dominated the 2016 NAPLAN results across the high school years. The selective school is located within the South Brisbane catchment and applications are only considered from South Brisbane residents. Located at the southern gateway to South Bank, one of Queensland’s largest transit-oriented developments is set to deliver major improvements with an estimated $6 million upgrade to the existing train station late this year. With over 60,000 passengers passing through on a weekly basis, South Bank is one of Brisbane’s busiest train stations. A new inner-city pedestrian bridge to be built as part of the Queen’s Wharf Brisbane project will honour the life and legacy of Australia’s first Indigenous parliamentarian, Neville Bonner. 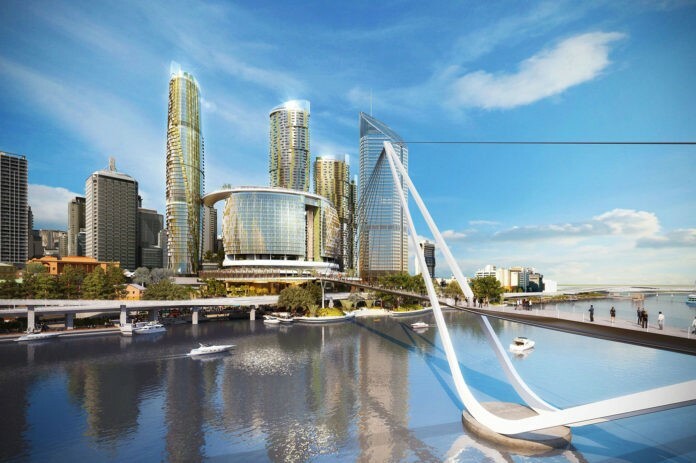 The new bridge will be part of the $3 billion Queen’s Wharf Brisbane development and link both sides of the river. 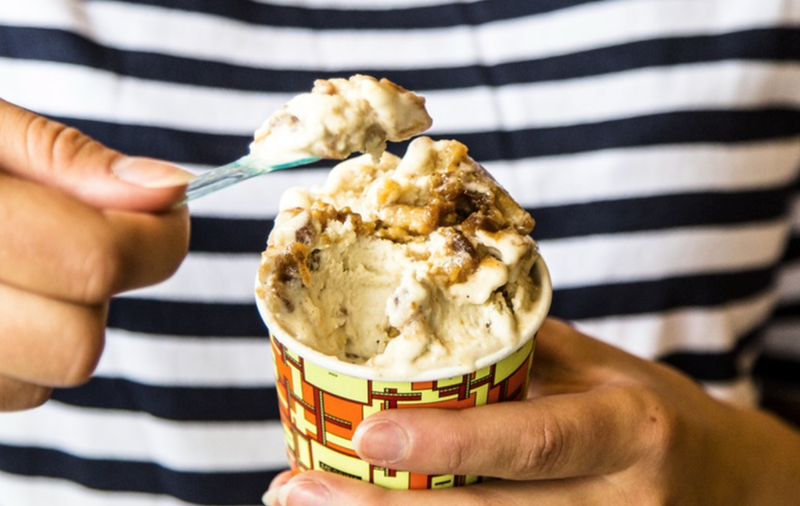 The glorious shop is anticipated to be the largest Gelato Messina in Australia! 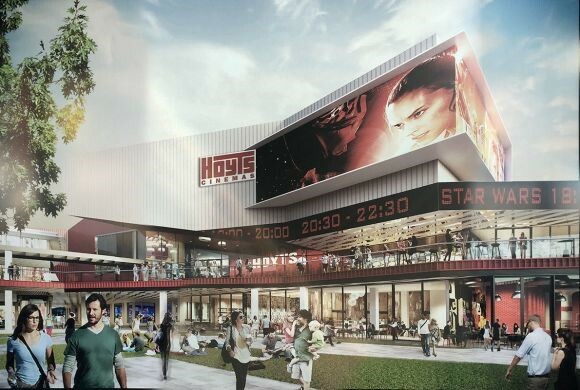 Over 200 square metres of retail space to open in October 2016. Saturday saw the kick off of the inaugural Fish Lane Festival showcasing dishes not only from the venues in the lane but from restaurants from the wider Southbank dining precinct and beyond. Over 540,000sqm of office space has been developed or is under construction within Docklands. 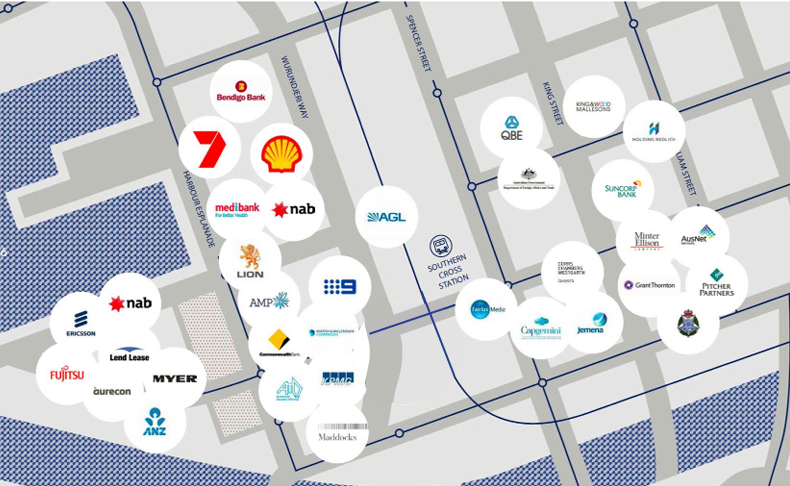 A growing number of international businesses have recently relocated into the Docklands precinct including Facebook, Deloitte, KPMG, Corrs Chambers Westgarth, Jemena, Regus, and Maddocks Lawyers. The first stage of the park includes a sports field, pavilion, playground, barbeques and a walking circuit. 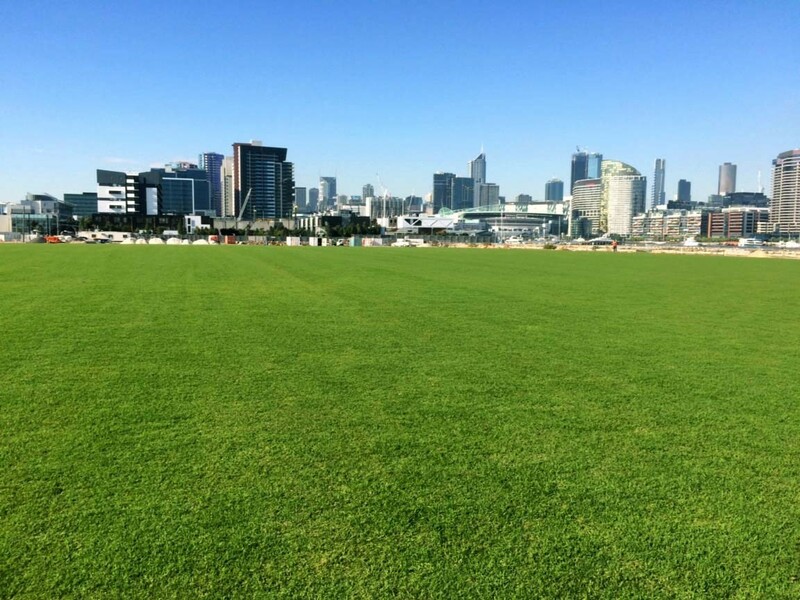 The park valued at $15m offers more open space for Docklands residents, workers and visitors to play sport, have a barbecue and take the children to play. This is another fantastic addition to the local amenity of Docklands and will attract more owner occupiers and tenants to the area. 3 bedroom apartment prices have increased by an average of $170,000 in the past 12 months to $1.1 million. Demonstrating a demand for larger premium owner occupier product. The rental vacancy rate in Docklands is 2.2%. This reflects a tight rental market. Market balance is considered to be 3%. (SQM, August 2016). Dockland’s largest property management company Lucas Real Estate reported a 0.9% vacancy rate in Docklands in August 2016. Ironfish Property Management have reported a 0% vacancy rate for September 2016 within Ironfish properties in Docklands. The City of Sydney is investing another $727 million on major projects that will transform central Sydney over the next 10 years. Projects include safer and more accessible streets and pedestrian walkways, new and refurbished childcare and community centres, bold public artworks and revitalised parks and streetscapes, involving an investment of $1 billion over the life of the projects. These projects are part of the $1.8 billion the City has set aside for a building and construction program over the next decade. Nearly 400 projects will provide new and renovated facilities for communities and businesses across the local government area. City of Sydney CEO, Monica Barone, said the City had delivered hundreds of important projects including parks, playgrounds, childcare, pools, libraries, theatres and community and cultural spaces over the last 10 years, and was now working on hundreds more for Sydneysiders to enjoy into the future. “These state-of-the-art community facilities and infrastructure projects will help create more welcoming and connected neighbourhoods that meet the needs of our growing population of families and workers,” Ms Barone said. “From transforming George Street and its surrounding laneways and continuing development of the Green Square town centre, to creating new childcare centres and dozens of parks, the City is dedicated to enhancing the quality of life for central Sydney residents. $15 million as part of our $23 million commitment on public domain improvements in Chinatown. $2 million every year on planting new street trees – over the next year, the City will plant 700 more native and exotic street trees across the local area as part of its plan to increase the city’s canopy size by 50 per cent over the next 15 years. An online mapping tool is publicly available for the first time from today, allowing anyone to access planning data for any parcel of land in Western Australia. Speaking at the Planning Institute of Australia’s state conference, Planning Minister Donna Faragher launched PlanWA an online interactive map that gives users access to the latest spatial planning information. “PlanWA is a user-friendly website that helps simplify the planning system, allowing industry, local government stakeholders or any property owner to access relevant planning schemes and policies online,” Mrs Faragher said. Users can search places of interest, enquire about specific pieces of land, access planning policies and information, tailor maps for their own use and connect to aerial imagery. The Minister said about 100 local governments did not have an online mapping system for planning purposes and PlanWA would be beneficial. “Those local government authorities which don’t have a mapping system on their websites will now be able to access this online resource to assist with planning for their local areas and provide more information to their communities,” she said. PlanWA uses data from the Western Australian Whole of Government Open Data Policy and Shared Location Information Platform and will be regularly updated. North Melbourne’s Arden precinct will be home to up to 15,000 people and up to 34,000 jobs over the next 30 years, according to draft plans released last week by the Victorian Government. The plans to seek to create a new commercial and residential precinct across 56 hectares in North Melbourne, between Macaulay Road, Dryburgh Street and the Upfield rail line, with the proposed Metro Tunnel underground train station to form the heart of the precinct. According to the government, the area will be developed gradually over the next 30 years and will retain North Melbourne’s industrial history. A heritage overlay is already in place to protect historic buildings and North Melbourne’s character. The draft plans set out a vision for changing land uses, street and open space design, access for pedestrians and cyclists, and the revitalisation of Moonee Ponds Creek. The Victorian Planning Authority created the Arden Draft Vision & Framework with the City of Melbourne, and the council is also working on a neighbouring residential precinct, Macaulay. More information is available from the Victorian Planning Authority’s ‘Shape Victoria’ website at <http://shapevictoria.vic.gov.au/>. Brisbane’s Central Station is due to begin a three-year and $67 million revitalisation and modernisation of its facilities and appearance. According to thebrisbanetimes.com.au the project is expected to support 750 jobs and is only the second rejuvenation project the station has undergone since it was first built in 1889, following its first significant renovations in the early 1990s. The work is said to include a new roof extending over the Edward Street end of the concourse and new lifts and stairs leading to platforms. The station’s back of house facilities including offices, communications rooms and first aid areas will also be refurbished. An additional escalator from the concourse to ANZAC Square is being added in order to reduce congestion during peak periods. Arguably the bulk of the work is Queensland Rail’s intention to completely modernise all of Central’s platforms, which will involve ceiling, wall and floor treatments, new lighting, level entry boarding, an extended cover on platforms 2/3 and 3/4, new passenger information displays and seating. The station is being left open during the work but the Brisbane Times reported that Transport Minister Stirling Hinchliffe has acknowledged that the station caters for approximately 140,000 commuters daily. Despite there being some inevitable disruptions to people’s schedules, work will be undertaken mainly during weekends and at night with peak hour timetables remaining unaffected. “The main disruption will be the potential for passengers to have to board and alight from their trains from different platforms. “We’ll minimise that disruption as much as possible,” he said. According to Queensland Rail, the upgrade to Central station is one of several major projects planned for Queensland’s train network, including the delivery of 75 new trains and $634 million invested in new signalling technology that will allow trains to run closer together and increase capacity through the CBD. Work on the Central Station facelift will start this month, beginning with back of house facilities. Work on Central’s platforms will follow, beginning in early 2017.
which he said builds on the existing Plan’s principles and recognises the significant reforms introduced in the Planning, Development and Infrastructure Act 2016. Mr Rau said the update strengthens the Plan’s focus on creating healthy neighbourhoods where walking and public life are encouraged. The update also seeks to ensure affordable homes and a greater diversity of choice in the type of housing are readily available. Increasing the diversity of housing choice by 25 per cent. he updated Plan will be implemented using the tools and mechanisms created by the Planning, Development and Infrastructure Act 2016. According to the Minister, the Act is a once-in-a-generation set of planning reforms which will be invoked in stages. Over the next five years, the government will streamline planning assessment pathways, reduce more than 20,000 pages of development plans to a statewide Planning and Design Code, facilitate greater community engagement in planning, and introduce SA’s first ePlanning system. More information is available from the SA Government’s ‘Living Adelaide’ website at <http://livingadelaide.sa.gov.au/>. The public comment period closes on 21 October 2016. WORK on the Australian and New South Wales governments’ suite of Western Sydney Infrastructure Plan projects is pushing ahead, with shortlisted contractors announced to build three major road projects. The successful contractor will deliver The Northern Road upgrade between Peter Brock Drive and Mersey Road, The Northern and Bringelly roads interchange and the Bringelly Road upgrade between King Street and The Northern Road at Bringelly as one project. Minister for Urban Infrastructure Paul Fletcher said the decision to build the three upgrades as a single project would pay dividends for residents. “The projects will be delivered together to ensure a coordinated approach to construction and to help reduce the impact on local residents and traffic while work is carried out,” Mr Fletcher said. “The resulting time and cost savings will help accelerate delivery of these vital projects, while also creating new job opportunities for residents. Work is already progressing on The Northern Road between Narellan and Oran Park, and the first stage of the Bringelly Road upgrade. The first section of the upgraded Bringelly Road was opened to traffic in December 2015. NSW Roads Minister Duncan Gay said both The Northern Road and Bringelly Road will be widened to four lanes, with capacity for six lanes in the future to meet the growing population of western Sydney, improve traffic flow, and boost road safety. “This road upgrade will be hugely beneficial to local commuters heading to other parts of Sydney for work. Between improvements to the local public transport system to increased opportunities for residential and commercial development, these projects are a huge investment in the region,” Mr Gay said. “Features include new on and off ramps between Bringelly Road and The Northern Road as well as turning lanes, traffic lights and shared paths for pedestrians and cyclists alongside Bringelly Road. “The Bringelly and The Northern Road interchange will include a new underpass to separate vehicles travelling on The Northern Road and Bringelly Road, improving traffic flow. The three companies shortlisted to submit a detailed tender for consideration are CPB BMD Joint Venture, Fulton Hogan Seymour Whyte Joint Venture and Lend Lease Engineering Pty Ltd.
Planning Minister Donna Faragher today released a number of proposed changes to Western Australia’s Residential Design Codes (R-Codes) for public comment. Speaking at the State’s second Building Summit, Mrs Faragher said the proposed changes would provide greater clarity to ensure the R-Codes were applied consistently across the State. “The R-Codes provide the basis for residential development control throughout WA,” she said. “The proposed changes reflect the Liberal National Government’s commitment to ensure the planning system remains responsive to local government, industry and community needs. Draft frameworks for local councils to follow are also being prepared which will set out clear criteria and parameters along with guidance notes for developers, industry and the community. Other proposed changes include amendments to definitions and setback and wall height requirements, as well as clarification of some construction standards in line with the Building Code. The Minister said the proposed changes were part of a broader review of policy on design matters currently being undertaken by the WA Planning Commission. “As the primary tool for the design, assessment and approval of dwellings and lot sizes, it is important that the R-Codes, and our broader planning system in general, continue to evolve in line with community needs and expectations,” she said. New apartment design standards to improve development quality have been released for a final consultation round by the Victorian Government. Better Apartments is part of the State Government’s reforms that aim to encourage a higher standard of development, maintain housing affordability and encouraging investment. The draft standards address issues raised through comprehensive consultation with the community, local government and industry. All new apartments will need to provide adequate daylight, storage, ventilation, energy and waste efficiency and minimise noise once final controls are adopted. The standards address building setbacks, room depth, accessibility, waste and water, energy efficiency, storage, open space and noise minimisation. Minimum apartment sizes are not included because the standards have been drafted to promote design innovation and encourage developers to provide a mix of apartment styles in developments. Planning applications will need to meet the standards set or propose alternative plans which show how liveability will be ensured through design solutions, encouraging innovation and best-practice planning. The Better Apartments discussion paper, launched by Minister Wynne in May last year, prompted debate from the property industry and community, drawing 1,700 survey responses and close to 150 detailed submissions. Design guidance for Victorian apartments to-date has been minimal compared to other states, which has allowed apartments to be built which do not meet basic needs such as natural light, fresh air and storage. Consultation on the draft apartment design standards is open for community and stakeholder feedback until 16 September 2016. More information on the draft standards is available from the Department of Environment, Land, Water and Planning website at <http://haveyoursay.delwp.vic.gov.au/better-apartments>. 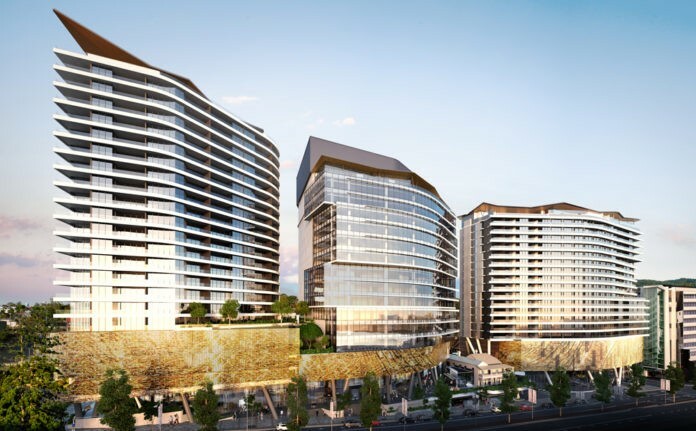 The Queensland Government last week announced that Australian Unity has been selected as the preferred tenderer to develop the site of the former children’s hospital at Herston in Brisbane and create a $1.1 billion health, aged care, residential and retail destination. Premier Annastacia Palaszczuk said the Australian Unity proposal would deliver on the government’s aim to elevate Brisbane’s health credentials and cement the broader Herston Health Precinct as home to globally recognised health care, research, education, clinical trials and treatments. “This project will be a milestone in Brisbane’s history and will further enhance the world-class reputation of the broader Herston Health Precinct,” Ms Palaszczuk said. “The tradition of public health services on the site will also continue, with my government’s commitment to deliver a new 132 bed Specialist Rehabilitation and Ambulatory Care Centre. “This redevelopment will cement Brisbane’s position as a truly international city, with a health and research precinct that will help Queensland to attract and retain the best clinicians, health workers, researchers, academics and students,” she said. “That process considered how the site could most effectively be used to achieve the government’s vision for a health-focussed precinct within its requirement that it be delivered at no net cost to the State,” Mr Pitt said. “This development, over a five-hectare site adjacent to the Royal Brisbane and Women’s Hospital, will provide significant economic development opportunities for Queensland, supporting 700 jobs annually during the 10-year development period and hundreds of jobs annually through operation, as estimated by Australian Unity. “Queensland Treasury’s project team will continue working with Australian Unity on the redevelopment of the site that will put Herston Health Precinct on the map globally, rejuvenate iconic heritage buildings and deliver wonderful public spaces for people to enjoy. “This redevelopment will be delivered at no net cost to the State, which is a tremendous outcome and a terrific example of how the government and the private sector can work together to achieve mutually beneficial outcomes. More information on the Festival Plaza is available at the Adelaide Riverbank website. Lendlease’s revised planning proposal and accompanying Voluntary Planning Agreement (VPA) for its Circular Quay sites on George and Pitt streets were approved last week by the Central Sydney Planning Committee and again at Monday night’s City of Sydney Council Meeting. Mark Menhinnitt, Managing Director, Urban Regeneration and Infrastructure Development, said the planning proposal offered an opportunity to rejuvenate an important area of the Circular Quay precinct that would promote economic growth and improve public spaces. “With its high quality commercial tower, the proposal provides the opportunity to increase office space in the Sydney CBD, design a world class workplace and commit to sustainable development, as favoured by global organisations. “The VPA with council would secure measurable public and community benefits in connection with the proposal, such as a community building, business innovation space in the lower levels of the commercial tower, a large public plaza, other public open spaces and laneways, and a public cycle facility,” said Mr Menhinnitt. The planning proposal comprises a commercial office tower (up to a maximum of 248m), a low rise public building and the remodeling of Jacksons on George licensed premises. Significant public spaces include a large public plaza fronting George Street, a secondary plaza on Rugby Place and a network of laneways to connect and invigorate the precinct. Under the Environmental Planning and Assessment Act 1979, the approved planning proposal will now progress as an amendment to the Local Environmental Plan and a VPA will be executed between the City of Sydney and Lendlease. Lendlease intends to submit a development application to redevelop the Circular Quay site. Lendlease will continue to work collaboratively with the City of Sydney and other key stakeholders throughout the planning process, and Sydneysiders will have the opportunity to provide feedback through the public exhibition period. The draft City of Subiaco Activity Centre Plan (SACP) and its role in guiding the delivery of mixed use and housing to meet the targets set out in Directions 2031 and SPP 4.2 Activity Centres for Perth and Peel. We have consulted with our members to determine the impact of draft SACP. These consultations have identified improvements to make the activity centre plan more effective and better support the revitalisation of Subiaco. Development densities on sites capable of development be significantly increased in order to meet the density targets set out in State planning policy. A strong system of incentives is included to encourage development that delivers good urban design and community outcomes e.g. affordable housing. The heights currently proposed in the SACP be increased to ensure a sufficient level of employment and residential densities to support transport services to and from Subiaco. The boundary of the activity centre structure plan area should be expanded to include the Subiaco Oval. Ensure sufficient density and height in key landmark sites to ensure the high frequency transit envisioned in the plan for corridors such as Hay Street and Rokeby Road.